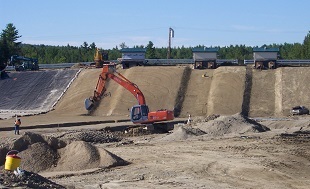 Sargent Corporation is one of Maine's most trusted and successful excavation, earthwork, and commercial site developers. Since 1926 Sargent Corporation has served customers throughout Maine and New England with a commitment to the safe and efficient completion of every project. Today as a 100% employee owned company the team at Sargent's work with a personal interest in the success of every project. What is accomplished today impacts tomorrow, and everyone must stand dedicated to excellence, teamwork and achieving results. 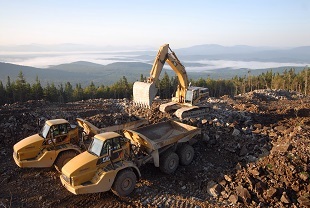 Sargent Corporation’s landfill projects follow all environmental concerns and procedures. 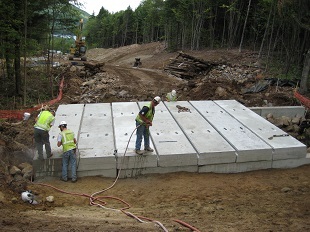 Jobs include excavation and moving of waste, cell liner installation, soil barriers, leachate collection pipes, gas lines, storm drains, berm construction, and rain caps. Protect the environment by building quality into your project.